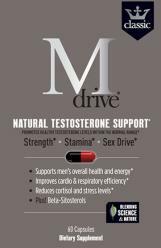 If you’re not completely satisfied with Mdrive during the next 60 days, get 100% of your money back. 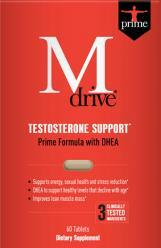 Get free shipping on any Mdrive order anywhere in the continental United States. 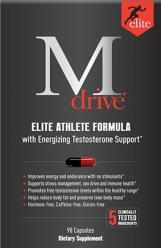 Mdrive elite helps me push my workouts to the limit by providing that extra energy. After taking this stuff for a week you'll notice Breathing becomes easier during workouts and muscle endurance is increased dramatically. I highly recommend this supplement. I've been on the products for almost 2 years. Huge difference I'm a believer! This product really work. I have been using Mdrive elite for about 2 years. I have a crazy life and work schedule working 7 days a week, many of those being 15 hour days. Mdrive elite makes it possible to still train hard and get the most out of every work out so I am able to still compete at the top level. I've been using Mdrive Elite for almost 3 years now. It's vital for my training and races. I improved my cardio, recovery is super fast and high level energy all day long!!! 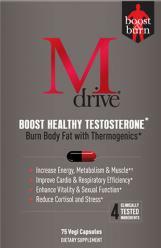 M -drive has allowed me to get my hard workouts in every day, and still have the drive and energy to work all day. I also work as a volunteer EMT and when my pager hits late at night I know my body is ready to go. Thank you M-Drive! Get Special Offers & More.